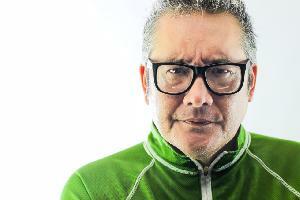 Mark Fernandez is a native Californian, who has been doing stand up comedy for 20+ years. You may have seen him on Comedy Central, Que Locos, Funny is Funny, Asia St. Comedy, or the Latino Laugh Fest. On Sundays, during football season, you can most likely find him on his couch, in his underwear, yelling at the screen because his beloved San Diego Chargers (YES I said SAN DIEGO) have found a new way to lose a game in the final minutes.